Zhen Zong Performing Art Troupe founded in 1995, is one of the famous and active art society in Taiwan. 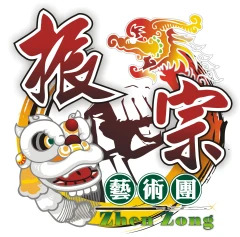 Zhen Zong is not only well known by the locally Taiwan for its outstanding performance but also frequently invited by overseas countries to perform in many important functions and significant celebrations. Zhen Zong participates in various types of ceremonies and public welfare activities such as opening and closing ceremonies, variety show, live-broadcasting events, press conferences, entertainment functions, culture and art festivals, marketing & launching event performance, wedding ceremonies, temple festivals and many more. Our performances are highly praised by the audience. Traditional arts: Techno Santaizi (The modern version of Great God Generals Third Prince), The Eight Generals (Male & Female), The 18 Bronze Men, Dragon Dance, Lion Dance, Drums, Jump Drums Team (Tiao Gu Zhen), Wushu, Dance Group, Zhong Kui The Ghost Catcher and the famous Song Jiang Battle Array (Song Jiang Zhen) … etc. Zhen Zong performance troupe has created many outstanding and high quality performances, with the combination of traditional art and modern elements, giving the audience a whole new impression on Taiwan Culture and Art. 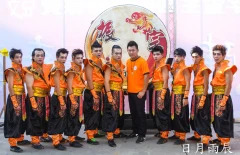 With the objective to retain the traditional culture and art elements while blending in more creative ideas and new formations, giving the audience a better visual entertainment, Zhen Zong has become the prestigious and leading art troupe in Taiwan, widely acknowledged with its magnificent performance. Over the years, under the cooperation between the Chief, Mr Fang and our experienced coaches team, Zhen Zong has been traveled domestically, presenting a variety of performance ranging from traditional martial art, to the creative modern dance, Zhen Zong Art Troupe, is ready to open the eyes of the world. We, adhere to continue carry out Zhen Zong’s philosophy and mission, making our best effort to become one of the best international performance troupe in the near future.